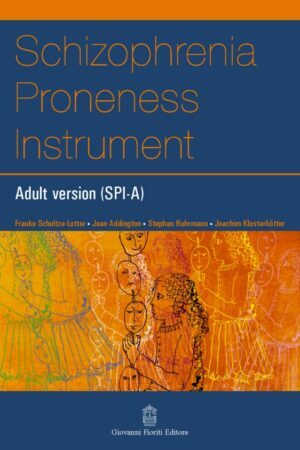 [:it]The Schizophrenia Proneness Instrument has its origins in the basic symptom concept first described by Gerd. Basic symptoms are subtle, subclinical self-experienced disturbances in drive, stress tolerance, affect, thinking, speech, perception and motor action, which are phenomenologically clearly distinct from psychotic symptoms. They can be present before the first psychotic episode, between and after psychotic episodes, even during psychotic episodes themselves. They were thought to be the most immediate psychopathological expression of the somatic disturbance underlying the development of psychosis – thus the term ‘basic’. Basic symptoms are phenomenologically different from mental states known to the patient/subject from what s/he considers his/her ‘normal’ self and thus are clearly distinguishable from subtle disturbances described as traits in those at genetic high-risk. In addition, basic symptoms are phenomenologically clearly distinct from attenuated or frank psychotic symptoms – employed in the ‘ultra-high risk’ (UHR) criteria of an imminent risk of first-episode psychosis – as they are not necessarily observable by others as are odd thinking and speech, negative symptoms and formal thought disorders. They are regarded as having originating in the subject, unlike schizotypal perceptual disturbances and hallucinations, and do not primarily affect thought content as do magical thinking, ideas of reference, paranoid ideation and delusions. 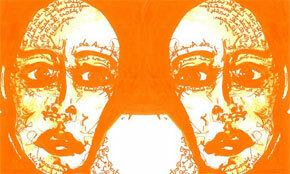 Download Schizophrenia Proneness Instrument-Adult Version Score Sheet. 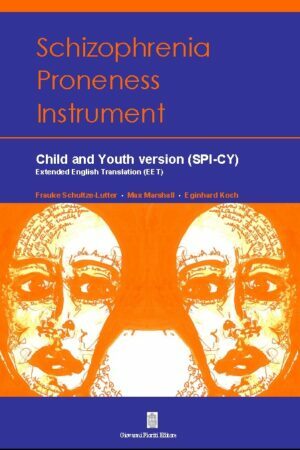 The Schizophrenia Proneness Instrument, Child and Youth version (SPI-CY) has its origin in the basic symptom concept first described by Gerd Huber. Basic symptoms are subtle, subclinical, self-experienced disturbances in drive, stress tolerance, affect, thinking, speech, perception and motor action, which are phenomenologically distinct from frank or attenuated psychotic symptoms. Basic symptoms can be present before, during and after psychotic episodes. The term “basic” reflects the belief that they are the first specific psychological manifestation of the neurobiological disturbance underlying the development of psychosis. Basic symptoms are phenomenologically different from normal, non-pathological, fluctuations in mental state. In other words they are different from what a young person considers his or her normal self, and in this way may be distinguished from those subtle disturbances that occur as long-standing traits in children at genetic high-risk. Generally speaking, the SPI-CY can be used to assess young people of 8 years and above, with the caveat that some basic symptoms require a higher cognitive-developmental state and should not be assessed before the age of 13. Whilst, as for adults, the elicitation of subjective experience remains critical to identifying basic symptoms, the SPI-CY may also utilize information from parents and other carers. However, such third-party information may only be used to help explore what the young person is experiencing, and cannot act as a substitute for directly elicited information.